<br/>* <font size= "2">iPhone X<span class="all-small-caps">R</span> will be available in 64GB, 128GB and 256GB models in white, black, blue, yellow, coral and (PRODUCT)RED starting at <strong>$749</strong> (US) from <a href="https://www.apple.com">apple.com</a> and Apple Stores, and is also available through Apple Authorized Resellers and select carriers (prices may vary).</font><br/>* <font size= "2">Through Apple’s <a href="https://www.apple.com/shop/iphone/iphone-upgrade-program/">iPhone Upgrade Program</a>, customers in the US can get iPhone X<span class="all-small-caps">R</span> with the protection of AppleCare+, choose their carrier (no multiyear service contract required) and have the opportunity to upgrade to a new iPhone every year. 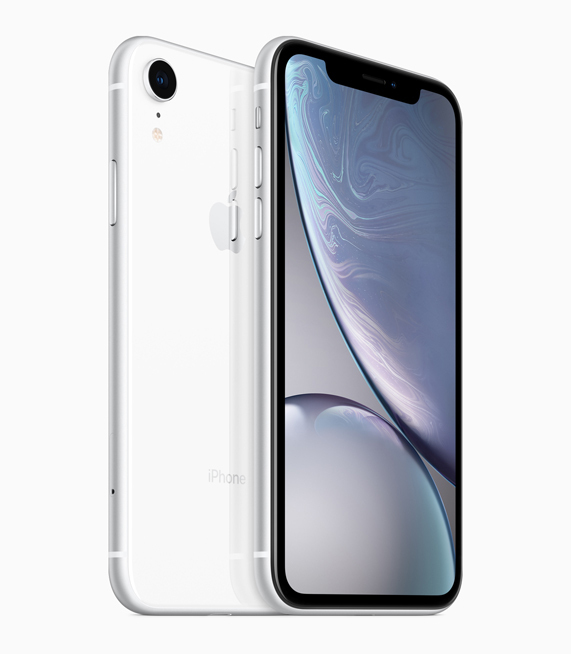 The iPhone Upgrade Program is available for iPhone X<span class="all-small-caps">R</span> at <a href="https://www.apple.com">apple.com</a> and Apple Stores in the US with monthly payments starting at <strong>$37.41</strong>. </font> <br/>* <font size= "2">Customers will be able to pre-order iPhone X<span class="all-small-caps">R</span> beginning Friday, October 19 with availability beginning Friday, October 26, in more than 50 countries and territories including <em>Andorra, Australia, Austria, Bahrain, Belgium, Bulgaria, Canada, China, Croatia, Cyprus, Czech Republic, Denmark, Estonia, Finland, France, Germany, Greece, Greenland, Guernsey, Hong Kong, Hungary, Iceland, India, Ireland, Isle of Man, Italy, Japan, Jersey, Kuwait, Latvia, Liechtenstein, Lithuania, Luxembourg, Malta, Mexico, Monaco, Netherlands, New Zealand, Norway, Oman, Poland, Portugal, Puerto Rico, Qatar, Romania, Russia, Saudi Arabia, Singapore, Slovakia, Slovenia, South Africa, Spain, Sweden, Switzerland, Taiwan, the UAE, UK, US</em> and <em>US Virgin Islands.</em></font><br/>* <font size= "2">With <a href="https://www.apple.com/shop/trade-in/">Apple GiveBack</a>, customers in the US can trade in their eligible device for an Apple Store Gift Card or a refund on their purchase. If their device isn’t eligible for credit, Apple will recycle it for free.</font><br/>* <font size= "2">Every customer who buys iPhone X<span class="all-small-caps">R</span> from Apple will be offered free Personal Setup in-store or online to help them customize their iPhone by setting up email, showing them new apps from the App Store and more.</font><br/>* <font size= "2">Anyone who wants to learn more or go further with iPhone X<span class="all-small-caps">R</span> or iOS 12 can sign up for free Today at Apple sessions at <a href="https://www.apple.com/today">apple.com/today</a>.</font><br/>Apple revolutionized personal technology with the introduction of the Macintosh in 1984. Today, Apple leads the world in innovation with iPhone, iPad, Mac, Apple Watch and Apple TV. Apple’s four software platforms — iOS, macOS, watchOS and tvOS — provide seamless experiences across all Apple devices and empower people with breakthrough services including the App Store, Apple Music, Apple Pay and iCloud. Apple’s more than 100,000 employees are dedicated to making the best products on earth, and to leaving the world better than we found it.